Based in Halifax, Nova Scotia, Mocean Dance creates and performs athletic and vibrant contemporary dance. Led by Co-Artistic Directors, Susanne Chui and Sara Coffin, this versatile creation company commissions Canadian choreographers and company members to create dance that is highly physical, collaborative, and technically and emotionally rich. 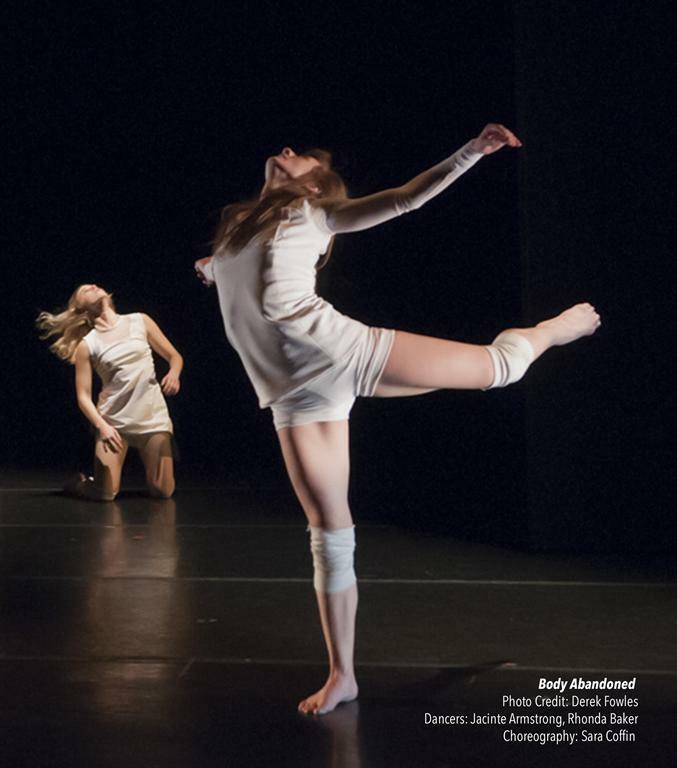 Mocean Dance tours internationally, delivering performances that engage audience, and offers outreach activity to support the growth of contemporary dance in Canada. Mocean Dance was founded in Halifax, Nova Scotia in 2001 by Carolle Crooks Fernando, Sarah Rozee, Sara Harrigan, Alicia Orr MacDonald, and Lisa Phinney Langley. Now Led by Co-Artistic Directors Susanne Chui and Sara Coffin, Mocean is recognized nationally as a leading contemporary dance company from the Atlantic region. Working with both locally and nationally renowned choreographers, Mocean brings together talented artists to create exciting new work that is rooted in collaborative process, stretches physical and emotional boundaries and finds authenticity. A Company-in-Residence at Halifax Dance since 2002, Mocean has produced and presented new shows annually, including Quintecentric,influx, Coast to Coast, Mappa Mundi, Given the Circumstances, Live in 3, and their 10th anniversary mainstage, Decennium. The company has created 30 original works with choreographers from across the country, including Tedd Robinson, Sara Coffin, Susie Burpee, Sharon Moore,Susan Elliott, Roger Sinha, Michael Trent, Lesandra Dodson, Lisa Phinney Langley, Cory Bowles, Estelle Clareton, Howard Richard, Allen and Karen Kaeja, Andrea Leigh-Smith as well as company members Susanne Chui, Sara Harrigan and Carolle Crooks Fernando. Mocean has also been featured in the work of dance and theatre artists Gwen Noah (Vestige) andMary Ellen MacLean (Velocipede). The company has appeared in San Francisco, Toronto, Vancouver, and in theatres across Ontario and all four Atlantic Provinces. In addition to its creation and performance, Mocean has developed successful residency programs bringing contemporary dance to communities across the region, has performed and led workshops for thousands of students, and has filmed a half-hour television special for Bravo!, which also aired on CBC. The company is dedicated to community outreach and the development of future audiences through performances, residencies, school events, workshops, informal showings and discussions. Recently, Mocean launched several projects to support the development of the next generation of artists, including Gen Y Project,Fresh Tracks! and EMERGE.